Your competent partner in the area of metal chip removal. 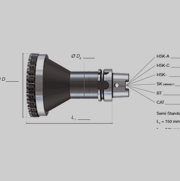 At our two company locations in Nuremberg and Lützen/Zorbau (Germany) we design and manufacture precision tooling for highest quality demands on most modern CNC-turning / milling / grinding / laser and EDM machines. All activities in our enterprise are based on our corporate quality and environmental policy and aim to contribute to a permanent increase in our customers productivity while observing all applicable legal and governmental regulations. 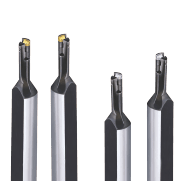 Our standard program constitutes the basis for a huge number of innovative special tooling solutions which get used and appreciated at our customers globally. 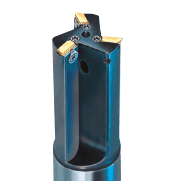 In many cases it is the customers specific solution which opens up the full potential of our tooling systems and thus contributes to savings and an increase in productivity. 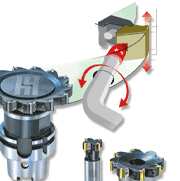 So-called Motion tools are used for applications which require high tolerances as far as diameters, surface and shape and tolerancing are concerned. Here you can find our examples of applications. Clean workpieces thanks to ingenious chip removal! 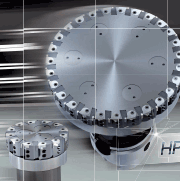 Due to extraordinary technical details the HPC-milling cutter of Hollfelder-Gühring guarantees highest productivity and energy efficiency in aluminium machining.